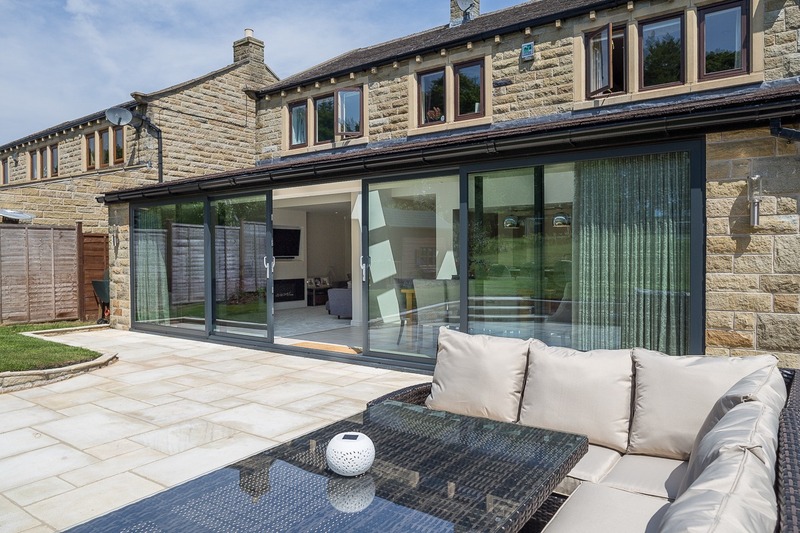 Imagine sliding open your patio doors on a warm sunny morning and enjoying a coffee overlooking the garden. Or perhaps you have invited some friends over for a few drinks and the guests can meander socially between the patio area and the kitchen diner inside. Clear View’s sliding patio doors and bi-folding patio doors can transform both the look of your home and the way you live your life. 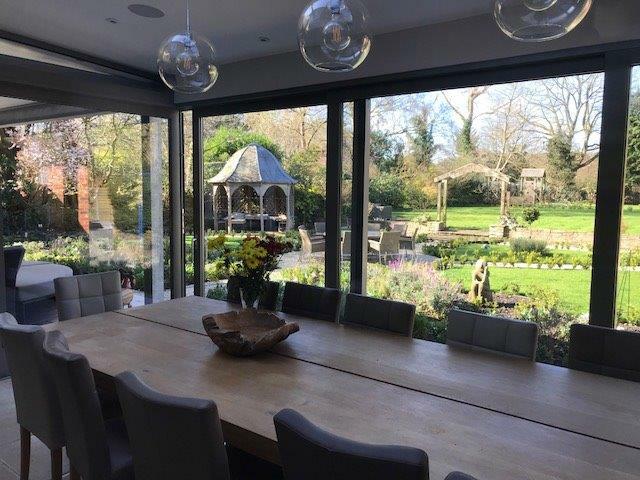 Whether you want to feel like you’re bringing the outside in, or you aspire to have a panoramic view from your room, our beautiful aluminium doors will achieve the perfect result. The modern aesthetics of a Clear View sliding patio door will add a touch of finesse to any external aspect of your home. When closed, your door will complement your home with a striking glass façade. 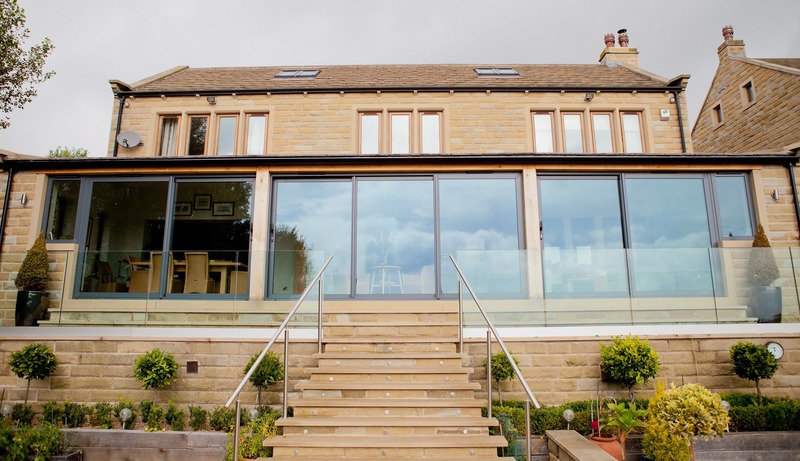 The aluminium profiles are manufactured to provide strength and durability, delivering a structurally sound product that requires minimal maintenance. 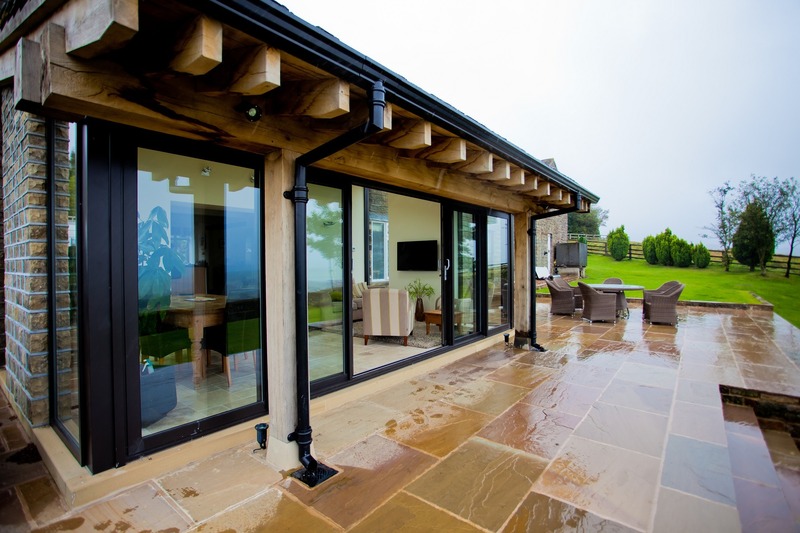 Such is the quality of the engineering all of our sliding patio doors can be operated by applying fingertip pressure. Any concerns over security can be quashed in an instant. We use multi-point locking systems to ensure a level of burglar resistance of up to EN V 1627 Class 2, giving you complete peace of mind. Clear View can design, manufacture and install a bespoke sliding patio door or bi-folding patio door system in under four weeks. Q. 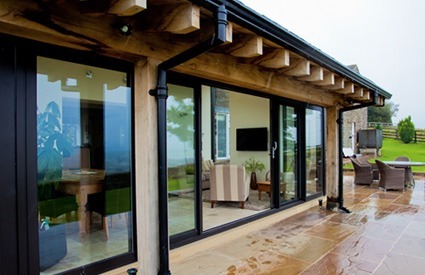 Do you manufacture PVC Sliding Doors? No. 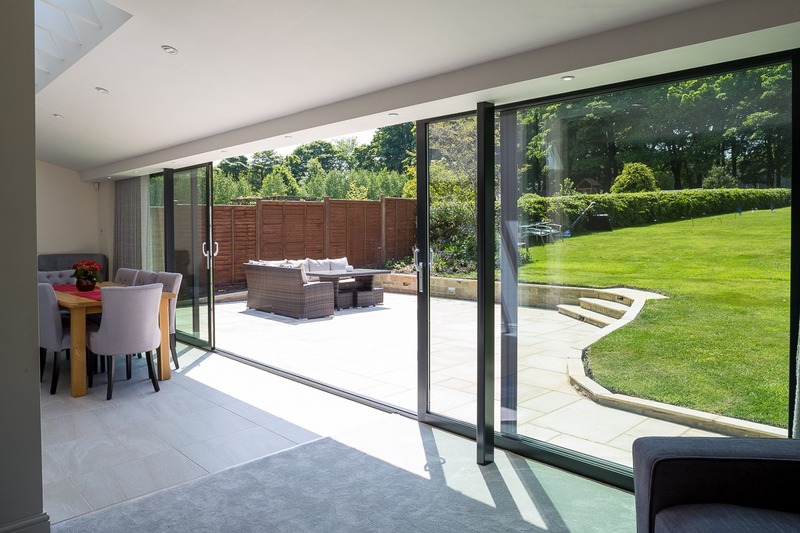 We are an aluminium manufacturer, PVC sliding doors tend to be cheaper than aluminium, but aluminium Sliding Doors are widely considered to be a far superior product. Q. What colours are available? We have over 100 standard colours available. Q. How long does installation take? It depends on the size and on how many products you order but a standard sized sliding door would be fitted within the day. Q. Do your doors come glazed? No, we fit the doors first, we then install the glass.